60" 54" 50" 42" 38.6"
. 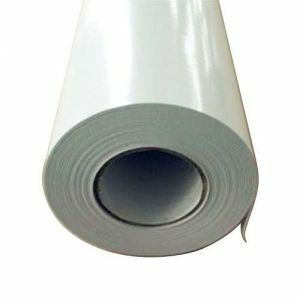 This Self-Adhesive Vinyl use the grey glue. and the performation of coverage is well.
. The surface film has the good performance of the ink obsorbing, can be applied to a wide range of inkjet printers.
. Use the removabe glue, to ensure the cleanliness of the bottom paper and facilitate to the second use. ECO solvent: Mutoh, Roland, 9.8' (3m), Mimaki and others.